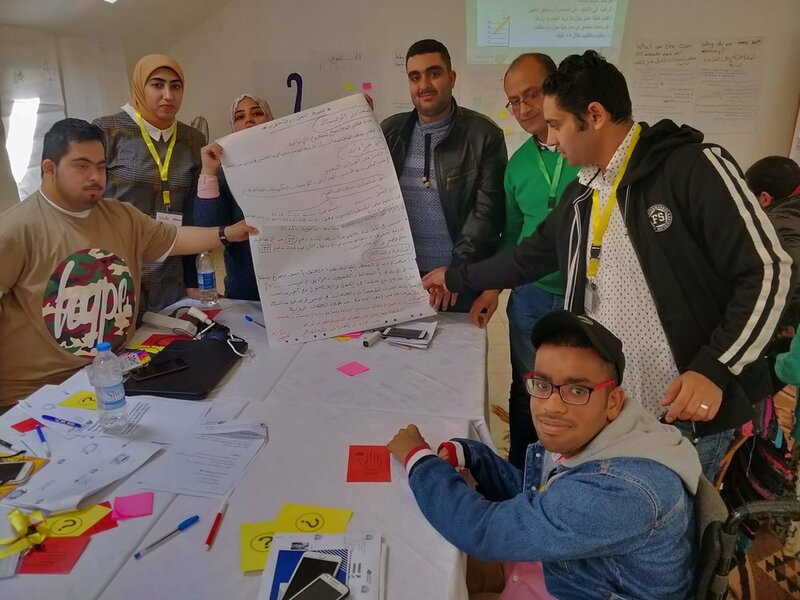 Between the 19th and 21st March in Anafora Egypt Empower Us led training for self-advocates from across the MENA region. The training was coordinated alongside Interact MENA and with our Inclusion International member the Alexandria Self-Advocacy Resource Centre. The training was led by our team members Salma from Egypt and Mia from Lebanon. The training focussed on self-advocacy, good support, rights, including the CRPD and the SDGs and how self-advocates can take action for change. Participants of the training also learnt how to share self-advocacy training with others and had an opportunity to lead training for a larger group of Egyptian people with intellectual disabilities on the final day. The self-advocates who took part in the training will stay in contact and continue to work with one another on inclusion in the region. Please watch the below video report from Salma and click here for more pictures and videos from the training.